Earn $26.99 in Rewards credit (2699 points) What's This? 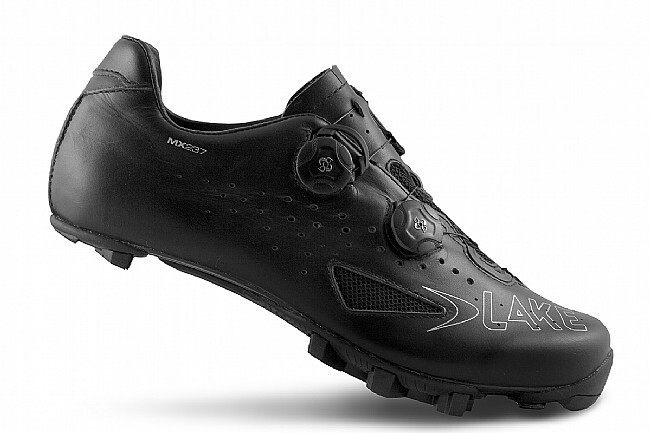 Lake’s MX 237 Wide MTB Shoe is roomy and snug in all the right places yielding a highly secure fit that’s ideal for performance riding and racing. The upper, made from full grain leather and mesh, is supple and breathable, keeping your feet comfortable, dry, and cool. 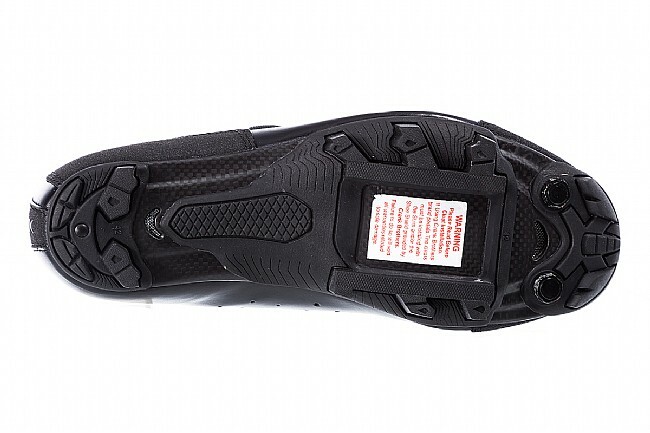 Furnished with Lake’s MX Competition Last, the heel is tighter and toebox larger, with an additional 15mm of volume at the ball of the foot, for an exceptionally secure and supportive fit. For maximum power transfer, the sole features carbon fiber and Mountain Race X rubber. Fine-tunable dual side push/pull BOA L5 lacing with releasable lace guides allows you to achieve the best possible fit for your feet.